each night while we are on the road. access we'll be good to go. 8:30 pm eastern time and we can chat then. forward to chatting with you later tonight. When most people travel they let their bodybuilding and fitness routine go to the wayside, end up skipping workouts, and eating junk. Now I admit that traveling does pose a bit of a challenge for sticking to your routine, but with a little planning ahead you can avoid the pitfalls and still make good progress. In our case we have packed high protein meal replacements and protein bars. Protein supplements can be really helpful for keeping your protein intake high and filling in the nutritional gaps between meals when you are on the road. We've also packed our gym clothes and sneakers so we'll be able to workout in the hotel gyms along our trip. Simple planning like this will allow you to still make progress while you are traveling so that when you get back home you can pick up where you left off and set some new personal records in the gym, rather then having to make up for lost progress. "Don't count reps on this workout"
Find a weight you can handle 10-15 times and take each set to failure. Rotate through each exercise without any rest. Repeat circuit 3-5 times with 2 minute rest between each complete circuit. This is a great way to help increase your work capacity and stimulate more muscle growth in your legs. In between each set of your normal leg exercises, do a set of bodyweight squats. Just 10-15 reps is plenty. What this will do is provide more muscle stimulation and extra work load for your legs without really draining your strength for your other exercises. This way you can easily get 100+ bodyweight squats in over the course of your leg workout and really help to spur on some new muscle growth. This is a killer bench press exercise that will provide some unique muscle stimulation and really help to increase your bench press strength. What's the key to bodybuilding success? and makes the wheels of success turn? clue about proper training, nutrition, etc. they didn't let anything stand in their way. to take our physique to the next level. actually follow through and do it. if you really had to - couldn't you? could figure out how to physically gain 5 lbs. in the next month if you absolutely had to. we struggle so much with this stuff??? been competing and training people since 1989. Tom is revealing all his best kept "Inner Game"
consider to be the "Fat Loss Bible". about getting in your best shape ever. combo of How To Strategies and Motivation. Low carb, high carb, or anywhere in between? Note: This is a quest Blog Post from bodybuilding and fitness expert Tom Venuto. Tom is the author of "Burn The Fat, Feed The Muscle" which is the #1 best selling diet and fitness ebook in the history of the Internet. In fact, it's one of the best selling e-books on ANY subject in the history of the Internet ... And there's a reason why... 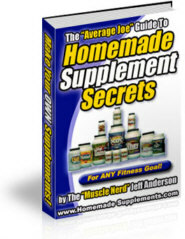 It's because thousands of women and men of every age are burning off BODY FAT - not muscle or water weight - and they're doing it naturally, without supplements, pills or "magic potions," simply by using the proven, scientifically-accurate and common-sense advice found inside this amazing diet and fitness guidebook. Tom Venuto, a respected fat loss expert, natural bodybuilder, and personal trainer, has not just pumped out yet another "diet program" into an already over-saturated market. Tom's Burn The Fat Program can be more accurately described as a "Fat Loss Bible." It is quite simply one of the most complete, detailed, and precise guides to fat loss you will ever read. If you were just going to read one book on the subject of nutrition, Burn The Fat, Feed The Muscle would be the one I'd recommend. The arguments continue to rage on. The big debate: What is the single most important factor in fitness success? I'm not talking about little tweaks that might improve your results a few percent, but absolute pre requisites that make or break you over the long haul. What is the ultimate essential? What is the sine qua non of every fitness transformation? "It's not just training – it's all about INTENSITY!" "It's diet! Body transformation is 80% nutrition!" "Lean protein is the key!" "It's carbs – you have to cut the carbs if you want to get lean and healthy"
"Lifestyle is the key – you have to control stress, get your sleep, eat natural foods and keep toxins out of your body!" And on and on and on these arguments go. While all of these factors could be argued as important and some even essential, none of them is THE difference that makes the difference. There's something else that must come first to make any diet or training program work. Weight loss studies have started giving us some clues in recent years as the time-frame of the research has stretched beyond your typical "12 week transformation" period. We already know that in the long run, most people regain the weight they lose from dieting, but some even greater distinctions have been made in the most recent studies. For example, the Harvard study published in the February 26th edition of the New England Journal of Medicine earlier this year had newswires, forums and blogs buzzing, especially if they were loyal low carb or low fat themed sites. In this large (811 subjects) two-year trial, subjects were assigned to diets with different ratios of protein, carbs and fat and were given reinforcement through group and individual counseling sessions. All four groups lost weight, although the results were not very impressive: average weight loss was 6 kilos after 6 months and only 4 kilos at the end of the study. The researchers said that the principal finding was that all the diets were equally "successful" in promoting clinically meaningful weight loss and maintenance over the course of two years. Hmmmm. Imagine that. So after all that bickering back and forth about low carb vs high carb, it's not macronutrient ratios or composition of the diet program that's most important after all eh? In the big picture scheme of things, that certainly appears to be the case. We would also probably be safe to extrapolate these types of findings to all the various training programs; almost any halfway-intelligent workout can work to some degree, but over an extended period, the average results aren't all that great, regardless of the training approach. Even transformation contest winners relapse, and big losers become even bigger regainers. Only a small handful of people are truly successful for life. So what does matter? And what is the secret of those who are successful at lasting health and body change? Well, when it comes to the fat loss side of things, we could say that clearly calories matter. Low carb, high carb or anywhere in between, if you want to get leaner, a calorie deficit is an essential condition. But let's not focus on the nutrition details. Let's pan back out to that bigger picture. What REALLY makes you successful, whether you want to lose fat, gain muscle or increase your level of fitness? In the NEJM study, one factor was VERY strongly associated with success: Attendance to group counseling sessions. In fact, the researchers considered this a proxy for commitment to achieving weight loss goals and staying engaged in the program. In a word, I would call this accountability (or social support, if you want to pin down the type of accountability in this particular case). Over the last few months, I have written at length about the power of accountability and there's little doubt that this could be a legitimate candidate as the ultimate success factor – or at least one of the factors that make a real difference. This is one of the reasons I'm a huge advocate of accountability-based fitness and nutrition programs, personal training and the entire field of personal coaching. But is that it? Accountability? I think we're getting warmer, but we need to drill down a bit deeper to try and articulate a foundational principle even more clearly. "These findings together point to behavioral factors rather than macronutrient metabolism as the main influences on weight loss." Aha! So now we have "accountability" and "behavioral factors" singled out as more important to your long term success than any particular diet program. In other words, it's not what diet you follow, it's what makes you follow your diet! I would also contend that the same is true for exercise programs as well. Some people may call this a "no duh" sort of conclusion, and yet the obviousness of this solution makes it no less true or important to teach and emphasize. Sometimes what's most obvious is the most glossed-over because it's taken for granted. •What makes lasting behavior change so difficult for most people? •What factors are controlling your behavior? •What creates lasting changes in your behavior? Accountability provided by coaching or counseling is one answer, but unless you have a coach, counselor or trainer all the time for the rest of your life, or your coach teaches self-empowerment, then the presence of this external accountability will define the limits of your success. In the end, the buck stops with you. You must accept personal responsibility for your success. You must develop and use your personal power. Peak performance coach Anthony Robbins has a great definition for personal power. He said that "personal power is the ability to take action." THE ULTIMATE KEY TO FITNESS SUCCESS IS YOUR ABILITY TO MOTIVATE YOURSELF TO TAKE CONSISTENT ACTION AND CHANGE YOUR HABITUAL BEHAVIORS. Diet, training and lifestyle are unquestionably important, but what's more important than which specific nutrition or training plan you choose is whether you have the ability to put them into action consistently. The MOTIVATION to ACT is the ultimate key to success. I'm sad to say that this is also the single most neglected aspect of achieving health and fitness success. In fact, motivation is often the subject of ridicule. The critics dismiss anything that reeks of self-help as Pollyanna or psycho-babble and say, "Just take action and get it done." Yes exactly. That is the solution. It's also the problem. Most people have chosen a plan of action but fail to act on it. They don't get it done. They don't follow through. They don't stick with it. It's not enough to tell your clients that action is the key – you must understand the psychology behind action. What makes a doer a doer? In all the peak performers I have ever met in my lifetime, every one of them understood that self-motivation was responsible for driving behavior, creating action, changing habits and... GETTING RESULTS! That's why I've been studying and teaching the psychology of motivation for more than 20 years, right alongside my studies of exercise physiology and nutritional science. A big part of the future of fitness lies in "mental training". Not as a replacement for physical training or nutrition, but as the perfect companion to them. Make no mistake: This is not some kind of magic that replaces an intelligent, effective approach to nutrition and training. In fact, I suppose if you were totally motivated to follow a lousy program, that might be no better (or even worse) than not being motivated at all! The point is, you must master the mental strategies, in order that good physical strategies will be carried out to the max. •My personal approach to motivation and working out consistently for the last 26 years. •Success semantics: How words can transform your body, your health and your life. If you go to http://www.BurnTheFatProgram.com and listen to some of the success story audios, and read some of the testimonials, you will hear over and over again, that many of our most successful clients said it was the information on goal setting and motivation found in our Burn The Fat program that was the first and most important key to their success. We are now building on that foundation with these new lessons in our Burn The Fat Inner Circle. If you've ever had a hard time making long term changes in your behaviors, if you've ever gone on a diet only to fall right back into your old patterns in just months or weeks (or even days! ), if you've ever had difficulty breaking bad habits, then http://www.BurnTheFatInsider.com is for you. Would you like to get a head start on getting powerfully motivated to achieve every health, fitness, or body transformation goal you set? Grab a copy of Burn The Fat, Feed The Muscle (BFFM) and go straight to chapter one. If you already own BFFM, go back to chapter one for a review and also be sure to check out the newest membership programs now available at our members-only Burn The Fat Inner Circle. - even when you are not wearing any clothes! you just can't seem to stay on it consistently? comfort foods and you just can't seem to say no? workouts or working out inconsistently? program in the first place? because it applies especially to YOU. of the answer to your prayers. problem and "I CAN"T STICK WITH IT" problem. think you will LIKE the catch. to his top tier clients in his "Inner Circle"
secrets of scientific goal setting." yourself and making lifestyle changes. proven that these principles work. teaching for decades, along with 1 new twist. stop it once and for all. lottery winners blow their winnings). stick with any of them. similar to this in over a year and a half. not fat loss infomercial crap! place you can get this information. 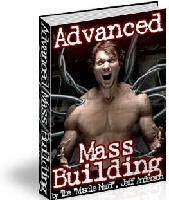 Do You Suffer From Bodybuilding Information Overload? your head spin with confusion...? websites it really gets my head in a spin. Can you can relate to what Paul just said in his e-mail ? (Note: this was before the Internet). today with so much information available online. my e-mails, websites, books, videos, etc. You do NOT have to do them all right now. my "Bodybuilding For Beginners" routine. ASAP and make some solid muscular gains with right now. This 2 disc DVD set contains over 3 hours of instructional workouts showing some of the best exercises and workouts that you can do to take your physique to the next level of muscular development. Get Ripped To The Bone Shredded In Just 6 Months! Dave has been working out for the past 6 months with the programs that I provide right here on my website and just check out the killer results he has made in such a short period of time! 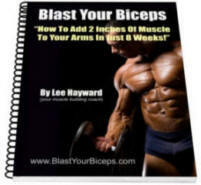 Love the website, I have gotten loads of great information and training tips from you! I was inspired by the pictures of the guys you've helped in the past and wanted to send you my progress pictures as well. I have attached a couple pictures of myself after 6 months of clean eating and dedicated training. I have gotten pretty ripped up results, especially considering that I have never seriously pumped iron before. Thanks for all your helpful advice and tips. Dave's progress just goes to show that with some serious dedication and following the right training and nutrition program you can make some killer gains and get ripped to the bone 6-pack abs shredded! Just imagine how much fun Dave's going to have this summer at the beach, pool parties, and everywhere else with his new ripped beach body?!? This program spills the beans on the secrets that competitive bodybuilders use to blast away stubborn bodyfat and get contest ripped in a hurry! This is a tasty, high protein, low fat, nachos recipe that you can make. Who says muscle building nutrition has to be plain and boring. With a bit of creativity you can still eat well and enjoy some delicious muscle building meals at the same time. I've been following these meal plans myself and I just love them! You get 12 weeks of muscle building & fat burning meal plans to help you get in your best shape ever! Everything is clearly laid for you, just follow the program exactly as it's outlined. No more second guessing if you are eating the right things or not. By following these eating plans you KNOW that you are eating right to maximize your progress in the gym. In this video I go over the "Done For You Meal Plan" and actually make one of the breakfast meals. I personally think the guys are waaayyy under charging for these meal plans, especially considering all the work and detail they go into with this stuff. But dispite this they are even slashing the price in HALF !?! You read right, that's not a typo... until Friday July 3rd, you can get your very own "Done For You Meal Plan" for Half Price!